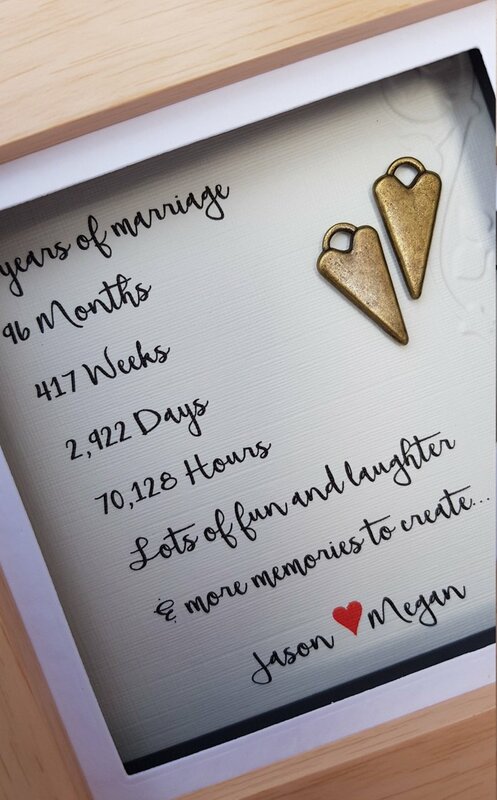 This 8 years & counting personalised framed print is the perfect gift to give on your 8th (Bronze) wedding anniversary. 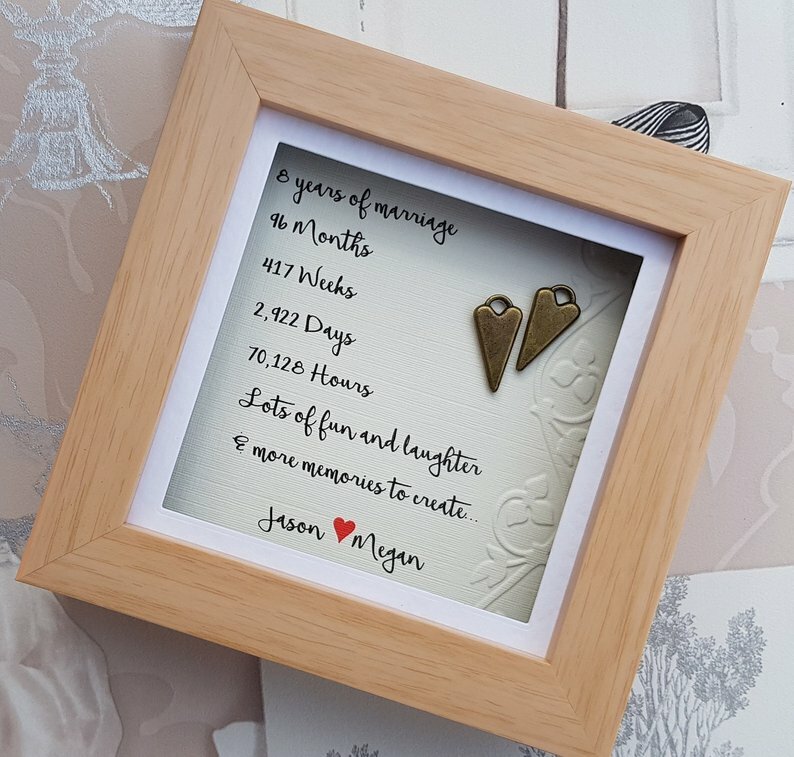 Featuring an 8 years ... and counting design, it can be personalised with couple names. Antique Bronze hearts are snuggled together on a cream hand embossed linen effect card before being beautifully mounted in a light wooden effect frame. Shabby Chic style gift wrapping is available for an additional cost of £3.50 (Natural kraft wrapping paper tied with white dotted organza ribbon and coordinated Happy Anniversary gift tag). Dimension: Outside 5"x 5" , Inside 3.5" x 3.5"
This gift is handmade, hand painted and made to order, they are individual and unusual. As this item is made to order it will be dispatched 6-8 working days from placing your order, please take this into account when placing your order. UK Delivery via Royal Mail 1st Class (£4.95). As this item is made to order it will be dispatched 6-8 working days from placing your order, please take this into account when placing your order. We will notify you once your Personalised Framed Bronze Design has been dispatched.